It's pretty remarkable to reflect on how much the natural beauty market has transformed over the past five years—namely that five years ago, the market was a fraction of what it is today. I was in college at the time, freshly vegan and just starting to explore how I might extend the philosophy behind my new diet into my beauty regimen. Frankly, I didn't know where to begin. Short of a handful of luxury brands like Tata Harper—which, while aspirational, fell decidedly above my meager student budget—any research on a more "natural" approach to beauty veered sharply on the side of granola. So I stocked my pantry with DIY essentials like coconut oil and apple cider vinegar and wistfully looked forward to a time when I could not only afford the beauty products that worked with my conscientious lifestyle but would have plenty of options to consider. I didn't have to wait long. Within the next couple of years, a boon of new brands with eco-friendly philosophies emerged onto the scene. Not only were these options just as (if not more) effective than other options on the market, but many of them were gorgeous—smartly packaged, chic, and downright covetable. Suddenly, it was actually cool to shop green beauty. Fast-forward to today, and I can walk into any Sephora, Target, or even CVS and have my pick of plant-based products. Because my own beauty regimen has evolved with this shift in the market, it's something I feel passionate about, and could talk about endlessly. This is all to say: Over the past five years, I've tried a lot of natural beauty products. A lot, a lot. Especially given what I do for a living. And while I've liked many things I've tried—and loved several more—it's easy to know what my true hero products are. They're the ones that have stayed on my vanity over the years, even as countless others around them have been rotated in and out again. Only a select few have earned that permanent real estate, and it's more remarkable still when several products from the same label have earned that coveted status. 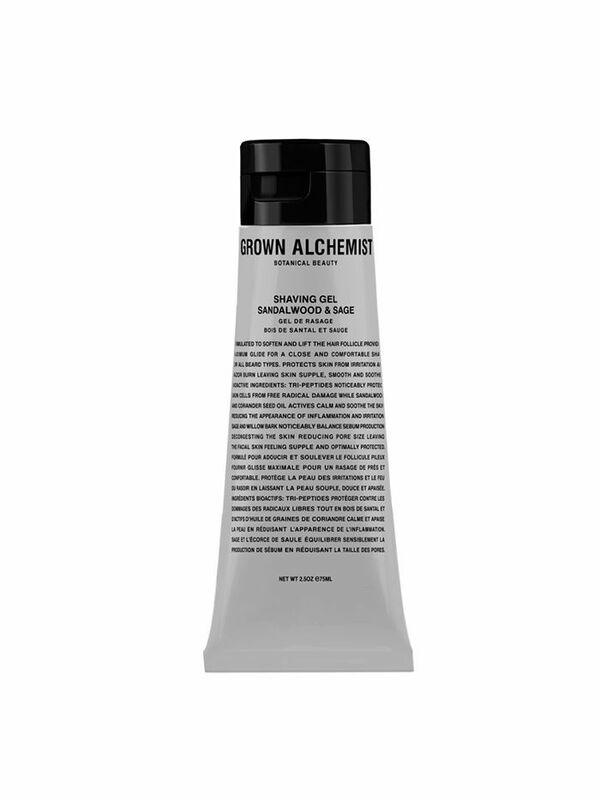 Grown Alchemist, an Australian brand that peddles gorgeously packaged (and unisex) natural beauty formulas, is one of those consistent winners for me—and crazier still, I'm in love with both its skincare and its haircare lines. While I'm admittedly a sucker for curb appeal, Grown Alchemist's ultra-clean formulas don't just look (and smell) great. By marrying quality-sourced, highly potent plant-based ingredients and hard science, co-founders (and brothers) Keston and Jeremy Muijs have made it their M.O. to prove that natural products actually work better than synthetic-laden formulas—because more often than not, said chemicals actually negate what those formulas are trying to accomplish. The pair came to this epiphany while developing products for other companies. "While conducting research on a project, we were awakened to the aging effects and potentially health-harming effects of carcinogenic chemicals found in traditional skincare formulations," explains Keston, who also serves as creative director. "Our bodies naturally fight anything they regard as foreign or toxic, and this reaction creates free radicals, which we know greatly contribute to the aging process." 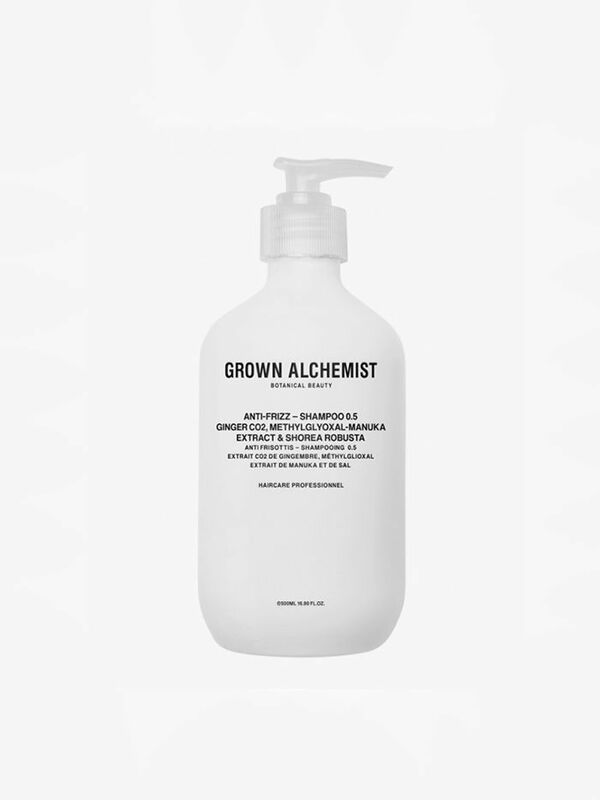 In developing Grown Alchemist, the duo took this natural approach a step further by choosing plant-based ingredients that specifically worked with the human body. 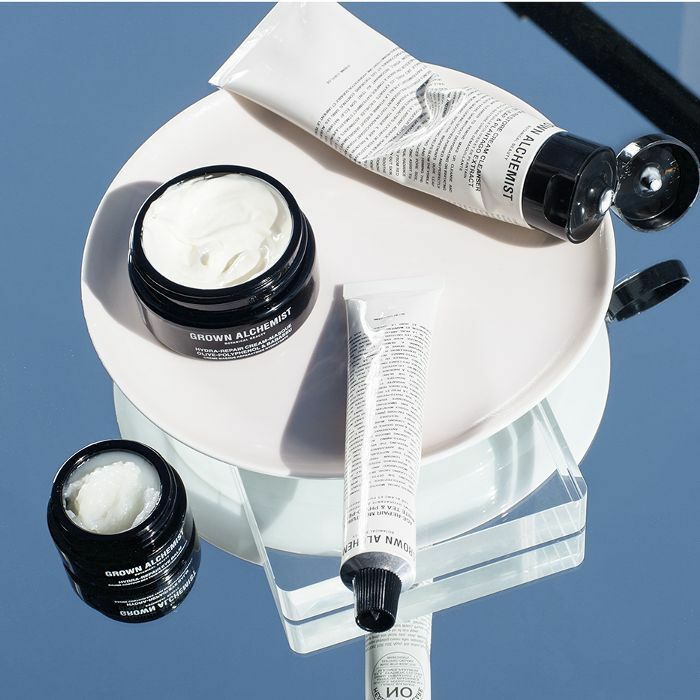 "Because natural ingredients like Neuro-Peptides, Tetra-Peptides, and advanced hydrating actives are compatible with human biology, they have the ability to regenerate beauty with superior results," Keston says. And that's the overarching philosophy behind the brand; the thread that sets it apart from the rest of the quickly crowding segment of the market: It's not just a natural brand, but a results-oriented brand. And I can definitely vouch for those results several times over. (How's that for an Earth Day–centric brand recommendation?) 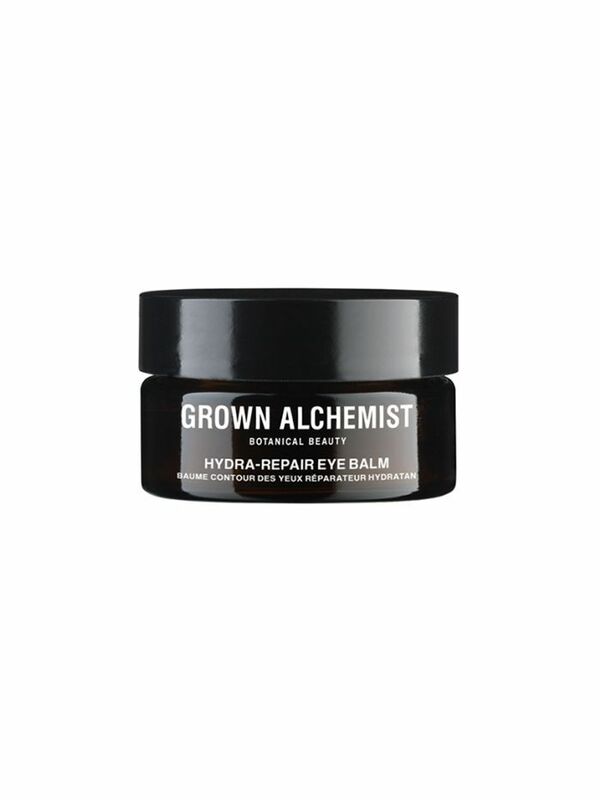 Keep scrolling to get a closer look at some of my favorite Grown Alchemist products. I like instant gratification from my chemical exfoliants, and this one seriously delivers. Fruit enzymes and amino acids help resurface dead skin cells while fig extract and omega-3 fatty acids replenish moisture, leading to a visibly brighter, dewier complexion within minutes. The fact that I use this heavy-duty mask as a moisturizer is a testament to how beautifully it has resurrected my hopelessly dehydrated skin. Fortified with omega-rich olive polyphenol and babassu, an emollient plant extract that aids with skin elasticity and fine lines, it offers an unrivaled dose of hydration. I like to slather it on at night, but here's an additional pro tip no matter your skin type: Layer it on thick if your skin is inflamed from sunburn, cold weather, or a particularly intense facial. Fact: This shaving gel was the first product I ever tried from Grown Alchemist, nearly three years ago—and with one whiff of the delicious sandalwood and sage scent, an obsession was born. Never mind that this formula was probably made with facial hair in mind—it makes the chore of shaving my legs extremely luxurious, and the botanical ingredients simultaneously lift the hair follicle and soothe any irritation for the smoothest finish possible. 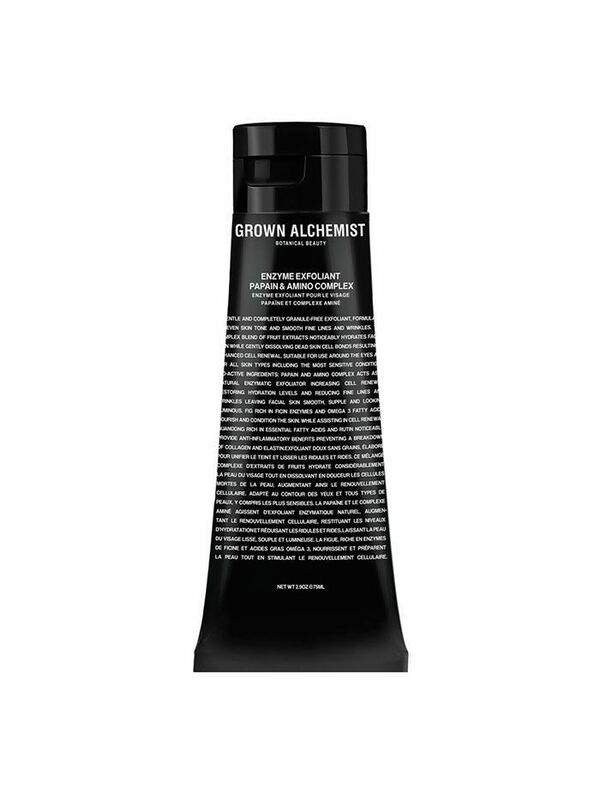 If I was a little wary about trying out Grown Alchemist's haircare collection, it's only because I am extremely picky about what I use on my strands. My ultra-thick hair dries out and frizzes up so easily, and before trying Grown Alchemist, my beloved Rahua shampoo and conditioner were the only products that kept my waves looking shiny, hydrated, and defined. But my curiosity (and my great experience with the brand's other products) got the best of me, and sure enough, GA's anti-frizz shampoo and conditioner work wonderfully to lock in moisture. They're easy on my sensitive scalp too, and bonus points for the user-friendly pump dispenser. I am that rare beauty editor who is majorly skeptical about eye creams. (I also don't see any purpose for blush, but that's an argument for another day.) In my experience, they've only made me break out in milia and actually made my eyes puffier than they were to begin with. Apparently, I just wasn't using the right formula: This one utilizes sunflower seed extract, which is clinically shown to improve the skin's moisture barrier, aka your key layer of defense for locking in moisture and regulating your sebum production. Translation: It effectively hydrates and contours the delicate skin around my eyes without clogging my pores and leaving annoying little bumps in its wake. Sold—and now I use eye cream. Er, balm. 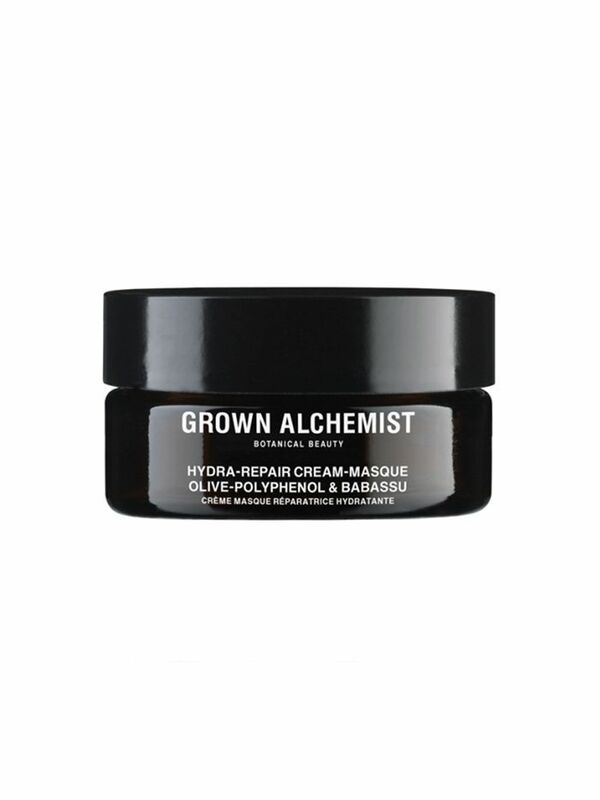 Have you tried any Grown Alchemist products? Any natural beauty brands you seriously love? Sound off in the comments below.